Well-known and loved Sativa dominant strain with a variety of medical benefits. Jack Herer Autoflower Seeds Review. Jack Herer marijuana was originally created during the 1980's by Sensi Seed Bank in Amsterdam. A Sativa dominant strain combining a Haze with three different types of Indica; Shiva, Skunk and Northern Lights #5. Named after the America cannabis activist, Jack Herer is a popular and respected form of medical marijuana with a variety of uses. Combining the Jack Herer genetics with the autoflowering gene has resulted in a stable, feminized strain that's extremely easy to grow and requires no set hours of darkness to flower and mature. Indoor growers should provide the plants with at least 18 hours of light per day, while outdoor growers will produce their biggest harvests during the very height of Summer. Once germinated and established as seedlings, Jack Herer autoflowering plants develop quickly, combining the growing and flowering stages together. The result is a dense, compact plant of around a meter tall that needs little care or attention to produce the highest quality buds. Indoor yields average approximately 5 ounces per square meter, while outdoors, 5 ounces per plant is common. With the vegetative and flowering phases combined, Jack Herer autoflowering only requires 8-9 weeks to fully develop, flower and mature, allowing for several crops to be grown over a single season. If you're looking for a fast, easy to grow strain to cultivate over this coming season, Jack Herer autoflowering seeds are a perfect choice combining ease and quality. 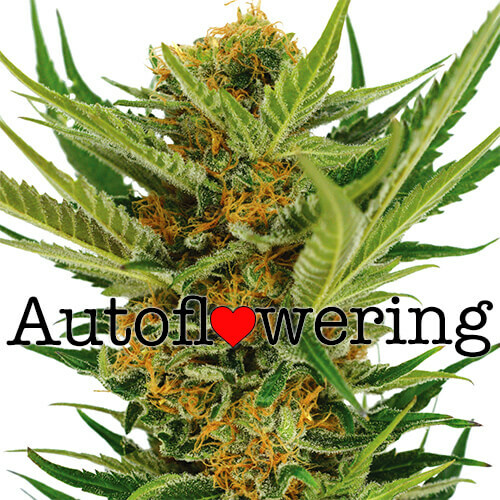 The latest addition to our autoflowering seeds collection, they are available in packs of 5, 10 and 20 feminized auto seeds, all sold with guaranteed delivery and germination included in the price. Find out more about Jack Herer Autoflowering Seeds. THC levels of approximately 20% ensure a fast, long-lasting high, while the 0.2% CBD content ensures a balanced effect, perfect for both recreational and medical use. Although the yields are not as large and exciting as harvests from 'season-long' grown plants, the dense, hard buds emit the same spicy-pine flavor and aroma. Jack Herer is a very popular form of medicinal marijuana, well-known for reducing stress and anxiety. Often prescribed as a day-time smoke, it can help to reduce fatigue, leaving the user feeling relaxed and energized for the day ahead. 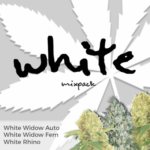 Read the complete Jack Herer Autoflower Seeds Review. Buy Jack Herer Autoflowering Seeds today and receive free worldwide shipping guaranteed.